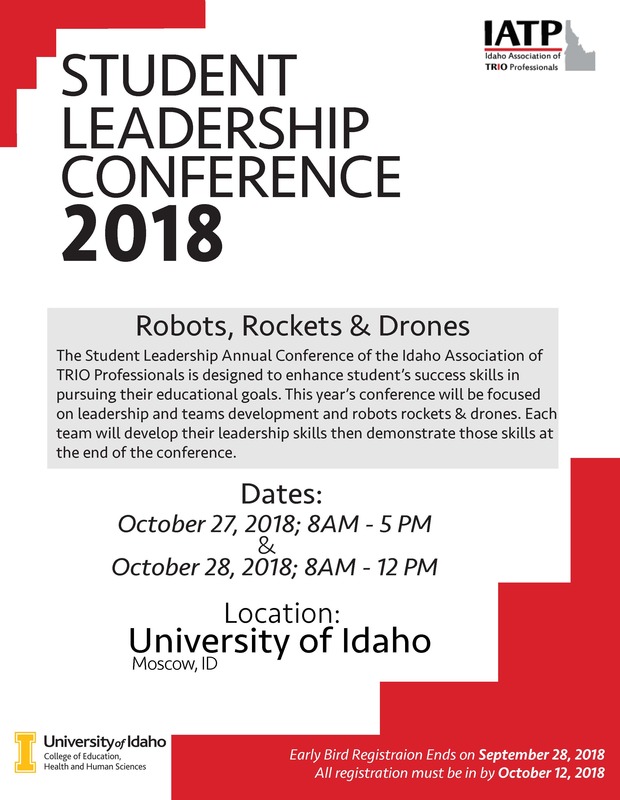 The Student Leadership Conference of the Idaho Association of TRIO Professionals is held annually and is designed to enhance student’s success skills in pursuing their educational goals. 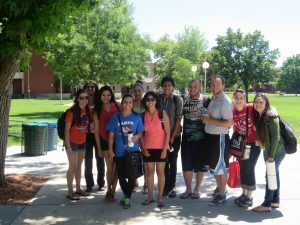 Student Leadership Conference rotates from year to year among each of the TRIO institutions in Idaho. This year’s conference will be held at University of Idaho in Moscow, Idaho on October 27-28, 2018. Send payment to Elizabeth Jewell by October 12, 2018 (further payment information can be found on the registration form).